2019 Volkswagen Beetle Orange 2.0T SE 26/33 City/Highway MPG We do things different at Auffenberg. Every vehicle is priced to sell and the price you’ll pay. There are no additional destination fees or hidden add-ons. You asked for a simpler way to buy a car, and we listened. Paying cash, this is your price. Financing the vehicle at standard rates? This is your price. Do you have a trade? This is your price. Don’t have a trade? Still your price. Call any other area dealer and see if any sales employee can guarantee all of those things for you. If they can’t, why buy there? We can’t think of a vehicle around East St. Louis and Madison that has a more iconic design than a new Volkswagen Beetle. For 80 years, this car has turned heads, marking a special kind of driver: one that understands both value and style. Whether you drive the fully-loaded model with premium Fender audio or you’re behind the wheel of an entry-level Beetle, it truly is a people’s car. With multiple trims and body styles, we think there’s a Volkswagen Beetle model for nearly any driver — especially with the wide range of colors, interior detail options, and Beetle accessories. 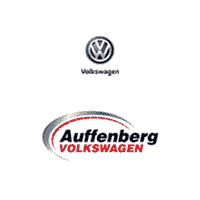 Whether you just want an affordable coupe or convertible or you’re seeking a fully specced out Beetle, we have something waiting for you at Auffenberg Volkswagen. Contact us today to schedule a test drive.